Expect Light Touch: In a Reiki session, the receiver of Reiki remains fully clothed and lies comfortably on a massage table. The practitioner uses no touch to light touch, and the receiver can completely relax. The receiver may choose to focus on their breathing or sensations in the body. Reiki is not massage, and touch during a Reiki session is very light. 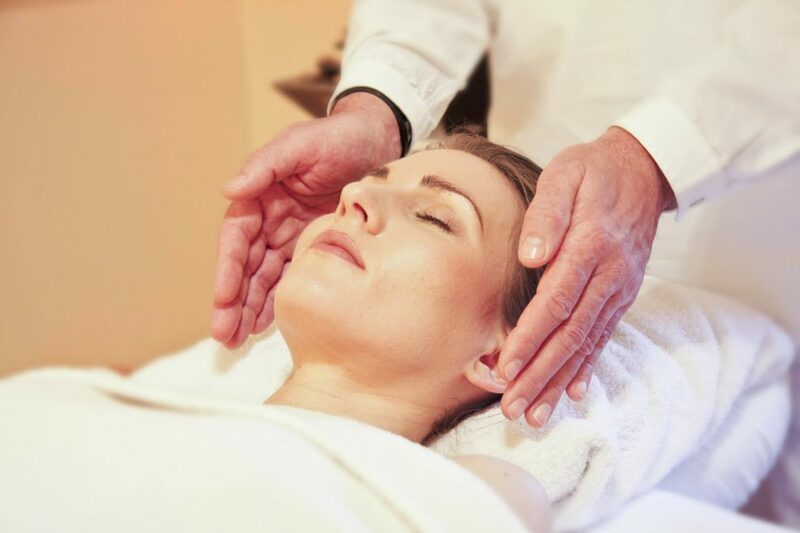 Reiki is more than Physical: – Reiki can help to alleviate physical pain in the body; it can focus on a certain region of discomfort in the physical body. However, it is just as effective and transformative when it comes to emotional pain, trauma, and stressors. Emotional work is often guided by the chakras and focuses on balancing the correct energy centers when we are holding trauma. Reiki and Energy: When a person receives Reiki, the practitioner does not give away their own energy. Instead, the practitioner acts as the catalyst to direct universal energy, much like a wire conducts energy between the wall outlet and the lamp. Everyone is made up of energy and surrounded by energy, and people can be happiest and healthiest when they are in sync with the energy vibrations around them, instead of having to work against it. If you are eager to try Reiki after reading this, join us for a free Yoga with Reiki class on November 28th at 5 pm. The class will be held at a slower pace, focusing on breath and sensations in the body to prepare the body for energy work. Students will receive Reiki while they are in poses. Join us to learn more about this wonderful practice, or contact us to inquire about booking a private Reiki session!